Pre-construction pricing** Welcome home to 23 W 5th St located in up-and-coming Bridgeport Borough! Now is the time to customize your dream home. Inside this grand four floor home, you will experience a modern living area that offers a spacious open-floor plan. 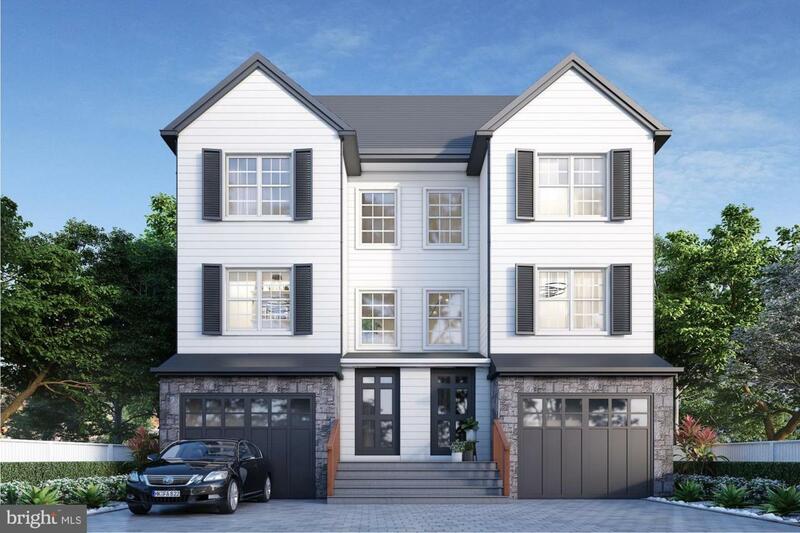 This 3-bedroom, 2.5 bath new construction twin has everything you are looking for, and more. Just to mention a few; 9-foot ceilings, finished walkout basement, single car garage, driveway, and additional parking in the rear of the property. This gourmet kitchen features an 8-foot island, and your choice of cabinets, granite counter tops, appliances, and tile backsplash. Upstairs retreat in luxury to your master suite, with walk-in closet, ample master bath featuring walk-in shower with rainfall shower head, vaulted ceilings, and ceramic tile flooring. The household laundry room is conveniently located on the second floor along with a hall bath, and a large second bedroom with vast closet space. On the fourth floor, be mesmerized with the amazing views! This space is versatile and open to be used as a third bedroom, loft, guest room, office, or all-around rec-room. The possibilities are endless! This masterful home is in the award-winning Upper Merion School District, and just minutes away from the delights of King of Prussia and Conshohocken. Enjoy the walkability of the hometown shops, bars, and restaurants of Bridgeport, a historic town with endless charm. Come have a look for yourself, you won~t be disappointed. Summer 2019 delivery. Listing courtesy of Coldwell Banker Preferred-Conshohocken.